Congresswoman Ilhan Omar (Democrat-Minnesota) sparked condemnation from lawmakers on both sides of the political aisle as well as a number of Jewish organizations after she suggested that Republican Party’s support for Israel was driven by campaign donations from a prominent Jewish group. “Benjamin’s baby” as mentioned in Omar’s tweet was a slang for $100 notes which feature the founding father of the United States, Benjamin Franklin. In another tweet, Omar replied to a journalist wondering who the congresswoman thought was paying American politicians to be pro-Israel, by simply saying “AIPAC” (American Israel Public Affairs Committee), which is a lobbying group that advocates pro-Israel policies to the legislative branches of the U.S. The American Jewish Committee wanted Omar to apologize. “Suggesting that a Jewish organization is buying off American politicians is both demonstrably false and stunningly anti-Semitic. American politicians are pro-Israel because Americans are,” AJC said in a tweet. Omar’s comments were not only criticized by Republicans, but also by members of her own party. Chelsea Clinton was among the Democrats who agreed there was no excuse for using anti-Semitic rhetoric to win political wars. “Co-signed as an American. 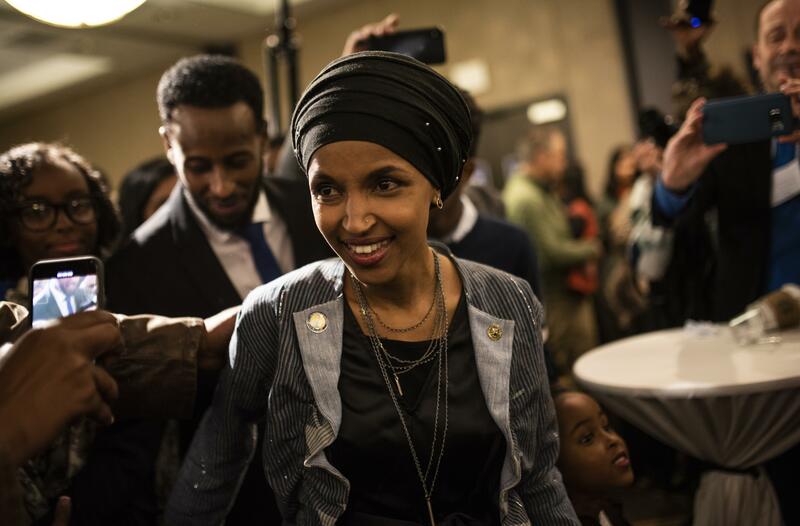 We should expect all elected officials, regardless of party, and all public figures to not traffic in anti-Semitism,” she tweeted, to which Omar said she was open to discussing the topic further. Conspiracy theorist and former columnist for the website The Gateway Pundit, Jacob Wohl, has started a petition on Change. Org for the removal of Omar from the House Foreign Affairs Committee, which was signed by more than 800 people at the time of writing this article. The Israel Anti-Boycott Act and the Combating BDS Act – the first one criminalizes participation in boycotting Israel and the second one protects states that implement anti-BDS laws – was recently approved by the Senate as part of a larger legislative plan, but will most likely be quashed after it reaches the House of Representatives as it is being controlled by the Democratic Party, which is against the bills. The bills are also opposed by human rights groups such as the American Civil Liberties Union (ACLU), the liberal Middle East advocacy group J Street, because they claim they violate Americans’ First Amendment rights of free speech.